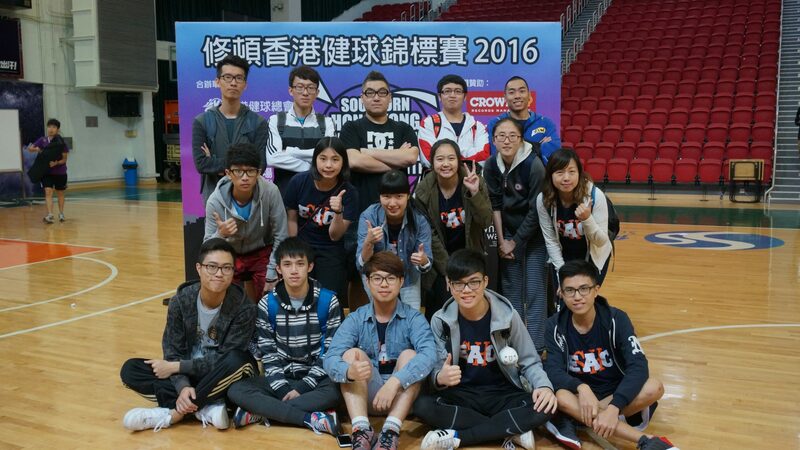 On Saturday 9th April, 2016, Stanley Ho East Asia College (SHEAC) participated in the Hong Kong Kin-Ball Championships. 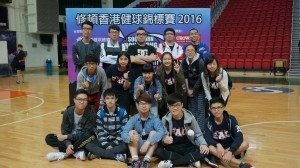 Nine SHEAC students and the other four students from Choi Kai Yau College (CKYC) formed two teams to play against teams from Hong Kong, Mainland China (Yanbian University), Singapore and Japan. It was the first time UM students played kin-ball outside Macau. 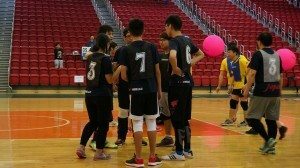 The SHEAC and CKYC teams competed in the open category of the Kin-Ball Championships which consisted of 12 teams in total. In the preliminary, each team played six rounds against different teams. After the completion of each round, ranking points were given to each team. The final result to determine which three teams to go into the finals was based on the four rounds of highest ranking points of each team. 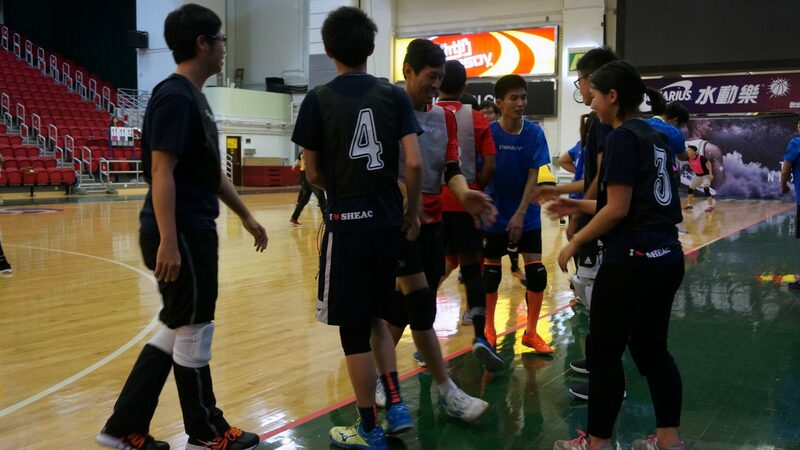 Handshakes with the Singapore team after the match. Despite being unable to qualify for the finals, both teams from UM achieved satisfactory results, respectively ranked 8th and 9th amongst the 12 teams, and gained invaluable experience by playing against experienced teams with players and coaches at the international level. Kin-ball is the only sports in which three teams play in a match at the same time. It was created in Canada in 1986. It is also characterized by the big size of the ball (about 1.2 meters in diameter). 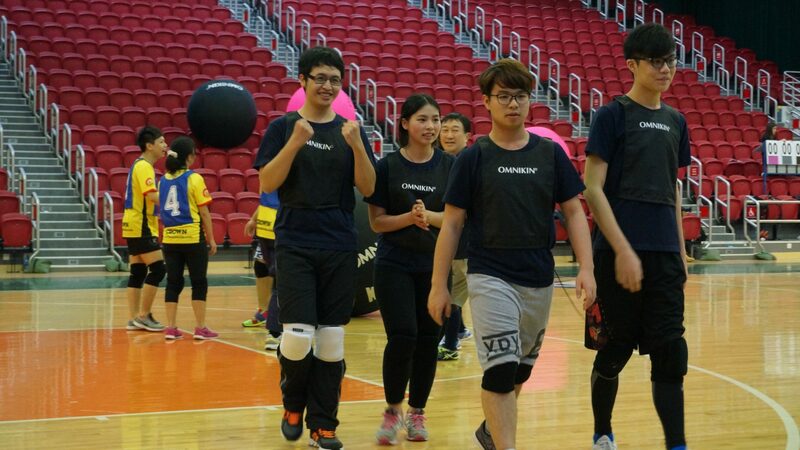 Kin-ball puts emphasis on teamwork, sportsmanship and training of overall physique. It has become an emergent sport across the world, practiced by more than 10 million of players in more than 25 countries every year. 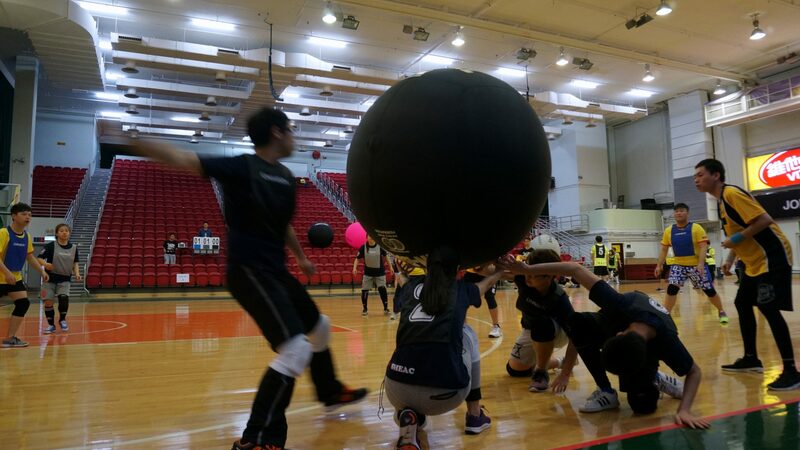 The Kin-Ball Sport World Cup is held every other year, with players from Europe, America, Asia and other countries. 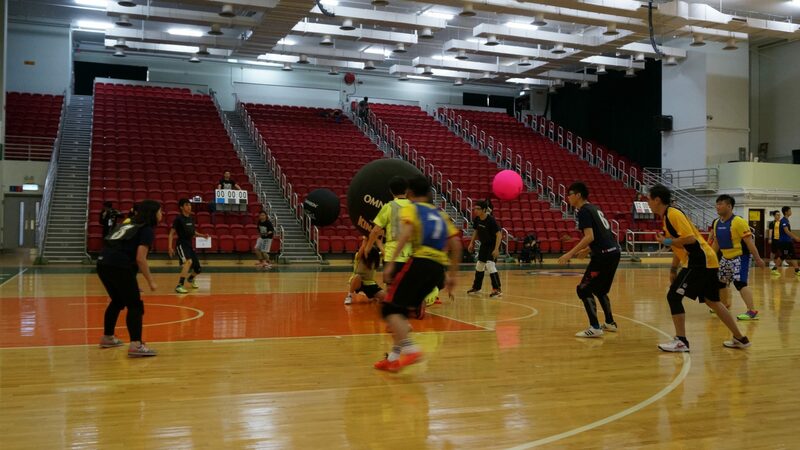 In recent years, Hong Kong Kin-Ball Association (HKKA) has hoped to introduce this sport to Macau. In the first semester of 2015/16, HKKA and SHEAC jointly organized a series of kin-ball activities, including the first UM Kin-Ball Fun Day in August 2015, the second fun day and a level one coach training course in October. To allow sustainable development of kin-ball and the students to get more systematic training, SHEAC and HKKA continue to hold regular training courses, including the beginner and intermediate level, as well as level one referee courses. 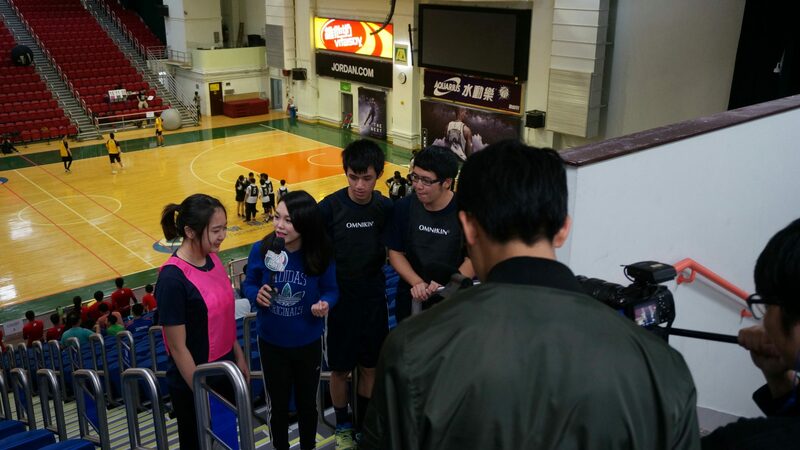 All in all, the response has been overwhelming, while kin-ball has become more well-known to the UM community.